“NAB does not see faces while investigating corruption cases. Its investigations cannot be linked with upcoming elections. 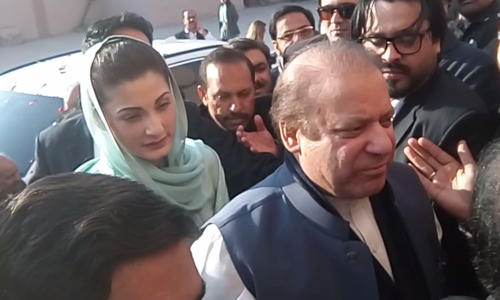 Its only purpose is to fight corruption and protect Pakistan’s interests,” he explained. Where are all the cases of Zardari gone missing or settled during his presidential tenure ?? You must bring them up for retrial . Biggest dishonesty done during his presidential time . Good. All without exception involved in corruption cases should be investigated. The accountability should be across the board and include those who are seen as 'untouchable'. If this is not done, it would not be accountability. I am impatiently waiting for exemplary punishment for the big criminals to deter others from even thinking about corruption in future. I hope the Chairman NAB will not disappoint us by not catching the big fishes. The person who claimed he was offered 45 million needs to be found and investigated. Either he is a liar or a professional criminal. Either way he should be caught and sent to a prison. 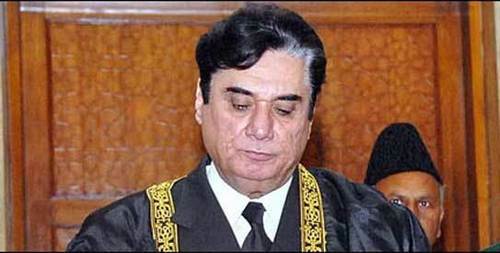 Justice Javed Iqbal, You can really transform the country if you truly conduct ruthless accountability by catching and punishing the top people in the corruption ring. Please do not disappoint 20 million people of Pakistan by letting the corrupt get off the hook. Thank you. looks like PML-N is the only corrupt party on the earth . All other parties have angels . Such a comprehensive news story. Well informed journalist. We all wish to see all big fishes behind the bars. I hope NAB will take help from Interpol to arrest those culprits sitting in London. Great mission Justice Iqbal. Best of luck. Wipe corruption out of Pakistan and you shall forever live in the annals of history of this blighted country robbed by all. Secondly, NAB needs to expand its focus beyond the N league to others. How about the PPP, ANP, MQM, JUI, PML-Q, PTI etc. Additionally, senior civil and military bureaucrats. @Qamar - the process of accountability is a ''marathon'' not a short sprint, and it is a relay, not a one man show, either all of them win or lose. First electables were threatened and asked to join PTI and now when this was not enouhh the NAB is involved just a month ahead of elections. Everyone knows what is happening. While PEshawar metro with 80 billion cost is still untouched, it can be seen easily that around 40 billion corruption is made cause in in Punjab same metros costed on average 35 billion. So where is this extra 40 billion? NAB is silent. But history will remember this time as most weak instititions. This NAB Chairman is the same as the Last NAB Chairman. Nothing will happen to he big wigs. Waste of Tax Payers money. NAB, stop making statements, do something constructive, arrest all involved in corrupt practices and absconders, recover all looted money and send them behind bars - this will be your achievement. And until this is done, I shall continue to express my candid views about injustice, inequality and corrupt practices! @Mak NAB Investigating MEGA corruption cases of current govt. But when will public hear the SUPER MEGA cases of Zardari and Pervaiz Musharraf ERA as well. 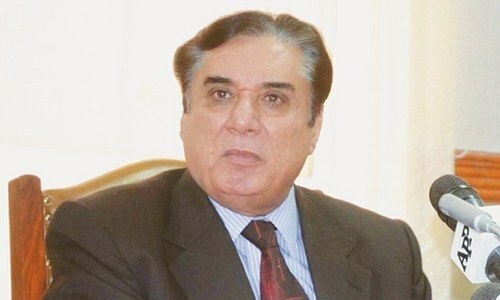 The information on which NAB is relying on, have a look "The NAB chairman revealed that NAB had received a letter by someone who claimed that they had been offered Rs45 million to blow up the NAB headquarters in Islamabad". There is a big question mark over your motives. You are the voice of the nation. So far no action, only circus, and empty talks. we have complete evidence. Having complete evidence is one thing, having clear evidence is more important.